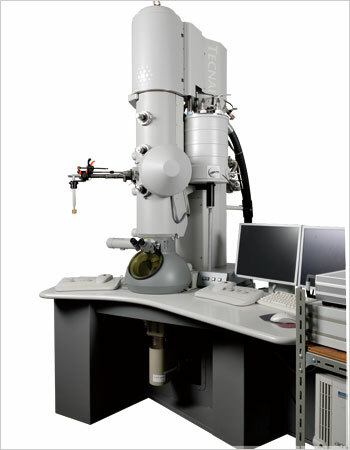 Using a liquid He cooling stage on a field emission electron microscope (acceleration voltage of 300 kV), frozen sections of living organisms can be observed at a temperature of 10K. Additionally, ±70° 2-axis incline is possible for accurate 3D observation. Moreover, it is equipped with an imaging filter, so zero-loss image observation and EELS are possible at extremely low temperatures.